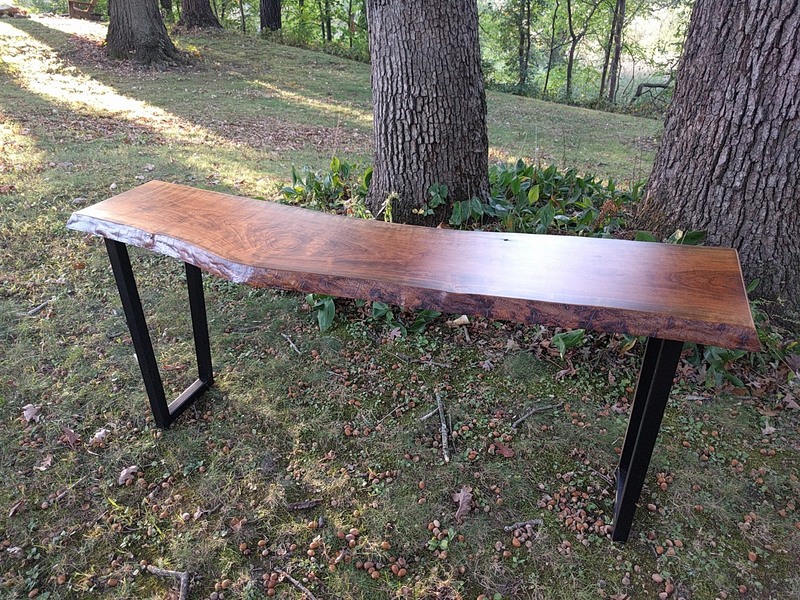 Skorup made this live-edge table from tornado-salvaged wood. 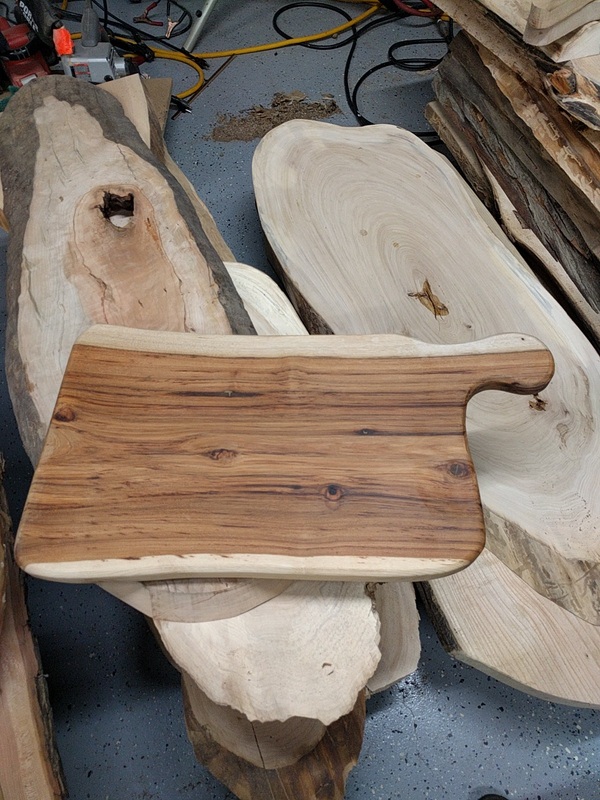 Good wood too small for furniture are made into serving boards and other novelty items. After retiring last spring from a distinguished teaching career that spanned 33 years, Steve Skorup has decided to dedicate more time to harvesting urban trees to make furniture and other wood products. Skorup spent most of his teaching career at Waubonsie Valley High School where he taught technology and engineering education. Among his many honors, Skorup was named 2003 Illinois Drafting Educators Association Teacher of the Year, 2007 ITEA Teacher of the Year and twice chosen as SkillsUSA Advisor of the Year. He also coached wrestling for 24 years and was nominated IWCOA Assistant Wrestling Coach of the Year. A resident of Sandwich, IL, Skorup operates SAWINC. It’s a company he launched while attending high school. His company specializes in harvesting trees to make wood products including live-edge tables, cutting boards and furniture. “I have done woodworking since I was in high school in Lockport,” Skorup wrote in an email. “I have had my company SAWINC since high school when a friend and I formed a small cabinet making enterprise. 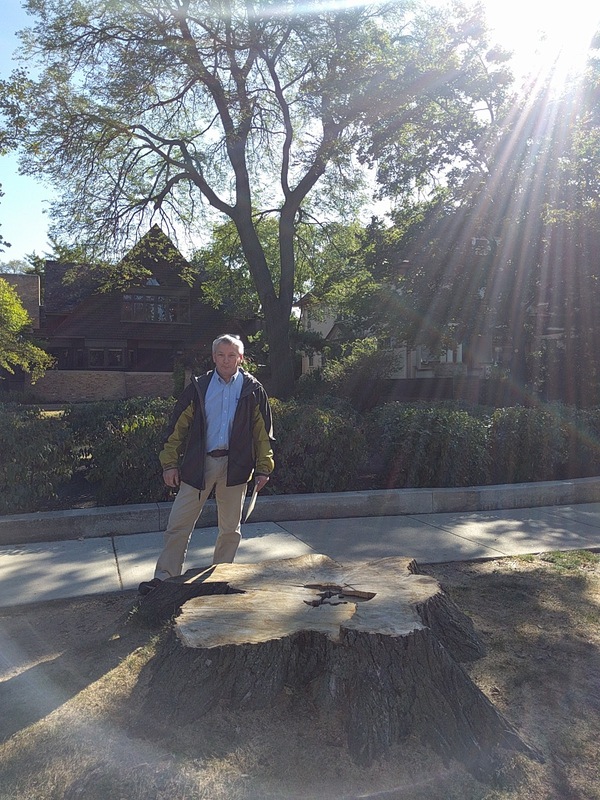 My interest in urban wood utilization began about five years ago when Brandon Dobnick, a neighbor, began working for Morton Arboretum and was taking down trees on the side. He now has his own business, Dobnick Timberworks/Vertical Solutions. We started with one walnut tree and a table project he wanted to do and from there we started acquiring trees, doing some work while waiting for me to retire from teaching and dedicate more time to the business. Notable sources of logs have included the Morton Arboretum’s prairie restoration along the DuPage River, trees downed by a tornado in 2015 at the Woodhaven Lakes campground and a pair of American elms from the Frank Lloyd Wright home and studio in Oak Park. Skorup noted that the trees he salvaged from the tornado scene represented a mere handful of the number that were felled. 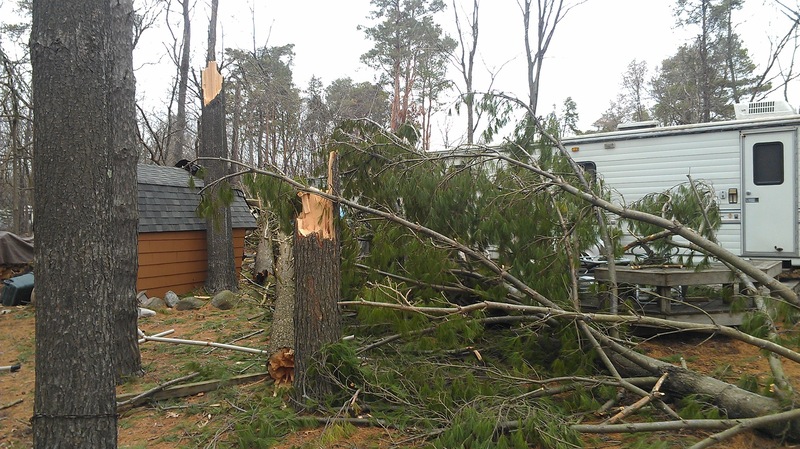 “So many of the trees were just ground to mulch in the clean-up effort,” Skorup said. Skorup says he plans to build a website for his business. In the meantime, he can be contacted at sawinc.skorup@gmail.com.